Fall allergy sufferers, beware, fall allergy season has already begun. In some areas, the season arrived nearly two weeks ago, two weeks earlier than usual. The season typically begins around mid-August, but because the spring season arrived so late, and due to the amount of precipitation we have experienced this summer, ragweed began pollinating early. Ragweed is the plant that pollinates during the end of summer, early fall season and is what allergy sufferers receive symptoms from at this time of the year. If you receive cold-like symptoms every early fall, you most likely are allergic to ragweed pollens. Allergy symptoms include sneezing, itchy eyes and nose, post nasal drip, scratchy throat, coughing and/or wheezing, fatigue, and sinus headaches. If you have minor symptoms, some over-the-counter medications should relieve them. You can also use vaporizers and nose sprays to alleviate symptoms. 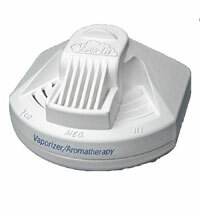 Vaporizers release vapors of menthol and eucalyptus the will clear out sinuses so you are able to breathe. You can use them for more than allergy symptoms, including colds, the flu and bronchitis. 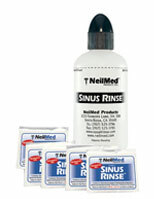 Another remedy you can use is a nose spray or sinus rinse. The spray goes into your nose and clears out the passageways, allowing you to breathe, while also preventing congestion from occurring again. For sinus headaches, you can take over-the-counter medications or place a warm, moist towel on your face to break up congestion and relieve pressure. There are also precautions you can take in order to prevent allergy symptoms from occurring or worsening. Check local pollen levels when you know you are going to be outdoors for longer than five minutes at a time. When coming in from outside, immediately wash your hands—or if you have spent an extended period of time outdoors, immediately take a shower and wash your hair to remove pollens. Wear sunglasses, especially on windy days, to keep pollens out of the eyes. You can also wear an allergy mask that allows you to breathe in fresh air without breathing in harmful pollens. And, lastly, keep your home allergy-free with air purifiers and by changing out your furnace filters once every season. However, if you are experiencing more severe symptoms, it is important to meet with an allergist to receive prescription medications. It is difficult to predict when fall allergy season ends—the pollens are typically removed by the second frost.